tallgrass prairie studio: Mary Lou and Melanie Write a Book! Mary Lou and Melanie Write a Book! The internet is a wonderful place and I've met such kind and talented people. Mary Lou Weidman is one of those people. She and Melanie McFarland have written a book and Mary Lou asked me to tell you about it. These ladies have bottled the joy of quilting and put it in a book. When I read in the introduction, "Who wants to do things like everyone else?....Be a stray once and awhile!" I knew they were my kind of quilters. I'm a self taught quilter. I like to learn on my own and I'm always looking for new ways to do things. When I looked at the quilts in the book I told myself, I know how to do that. Then I read the technique section. 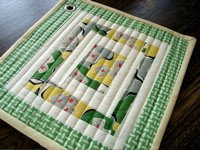 These ladies have shared some interesting, unique techniques for making the blocks and shapes they use in their quilts. I learned new improvisational techniques that I can and will apply to my own work. I love a book where I actually learn something! Mary Lou and Melanie are into letters and word in their quilts. It's such a great way to personalize a quilt and again, more good technique information here! This book is about making quilts, but for me it's also about attitude, doing your own thing, stepping out of the box, and viewing quilts from an artist's perspective. Mary Lou and Melanie provide instructions for projects to make, but more importantly they offer great techniques that you can learn and use in your own original creations. My favorite project in the book is this purple cow. It's funny I don't like purple, but when I saw this cow I thought about the cow that blocked the road as I drove home the other day. I just may have to make a giant purple cow, hang it in my new apartment to remind me of Kansas. Mary Lou and Melanie have given me a signed copy of their book to give away. Just leave a comment and tell me your thoughts on improvisation...do you do it? Would you like to? I'll draw a winner on Thursday! Don't know what time, so comment early! I enjoy improv, but I probably put far less thought into it when I'm doing it than a lot of people. No planning most of the time. So much fun! I love to sew hootchy! I've never tried improvisational quilting. I'm still pretty new to the quilting in general, and entirely self taught, so I keep trying to learn something new with each quilt. Maybe improv will be the next skill I tackle! more and more I find myslef drawn to doing improv. One of my quilting friends is quite aghast (good word eh?) at it but it feels so right to me. would love to check out new techniques...i mean if you are learning there must be tons for me to pick up. Thanks for the chance to win. MLW does such FUN things!! They all make me smile, and that's a good thing, right? Thx for the chance to win the book. I would love to make a "hug" quilt for my BFF. Thanks for the chance to win this book. Honestly, I am a bit scared by improvisional quilting. I started quilting 2 years ago and I struggle wtih the artistic side of things so I find comfort in structure. But I would definitely like to learn more about it so one day can "let my hair down". That book looks really interesting! I recently improv pieced letters for the first time and enjoyed it, although I suspect that I wasn't as efficient as I could have been. It would be great to learn tips to maximize my scraps! I've done some improvisation. Last year I went to Gwen Marston's retreat and it was SO fun. I love that attitude--enjoy what you are doing and don't worry about the rules! This looks like a fun book! Improvisation is not in my bag of tricks when it comes to quilting. I "need" a pattern but this book looks intriguing! As for the purple cow...don't forget to modify it and make yourself a MOOSE to hang in your new Chicago condo! Lived in KS for 10 yrs, boys live in Chicago (love that city!! ), and now live in a condo in Minneapolis and my DH and I just LOVE it! Best of luck in your adventure! I do like improvisation quilting. Sometime it can be a little scary but with the help of people like Mary Lou anyone can do it. You know I'm an improv girl! I just started making improv quilts and I am in love... I can't keep my hands off my sewing machine... I would love to have a copy of this book. I tend toward making small blocks and tiny pieces, so everything I've tried so far is all about planning, precision, and templates. Neat book! I could use some encouragement on improvising, thanks! I always start with some sort of loose plan in my head, and improvise from there. that looks like a cool book! Without improvisation, I think I would have made fewer things than I have now. I would be ripping too often. So, improvisation is really my thing!!! And the fun about it, I put more of me into the projects, recipes etc. I make. 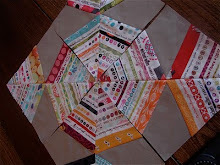 I haven't done any improvisational piecing, but I'm really itching to try! I love all types of quilts, from traditional to improvisational, but improv is my fun quilting! And I love the fun and happy look of this book! I am intimidated by improvisational piecing but if you look at my quilts, that is what I usually end of doing. I rarely follow the rules or instructions. Call me crazy. I can't follow a pattern to save my life! Great book! I don't find a lot of time to piece improvisationally, but I do love it. The blocks and quilts I have made that way are some of my favorites! So adorable! I'm in love with the chewy girly cow! My 5 year old girl is jumping up and down wanting that pretty cow. Loves the flowers on her head and her long eye lashes. She's swooning! I'm giggling at her and the cow! I don't do improv - I'm way to OCD for it. 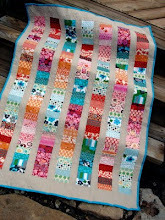 (Though I love looking at others' improv quilts!) But that books looks like a lot of fun! What fun--I think if I don't win a copy of this book I will have to purchase it! I am very excited that Mary Lou will be teaching at a Two Wacky Women retreat in 2012. I love her whimsical approach. No clue about this improv quilting... just wanted to say I would love the book simply because of the cow!!! It is soooo cute!!!! This type/style of quilting would certainly push me out of my comfort zone, for sure! I've never done an improvisational block but would love to try. Their book looks like fun! That purple cow could definitely brighten up a room - maybe my kitchen. Thanks for the chance to win! Not many books out there that actually teach you something new. 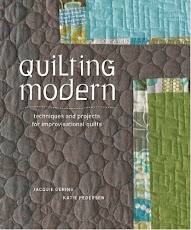 I would love to have this book and learn about the "new" improv quilting. I'm actually a little bored with the traditional methods. I am a rules girl, even when it comes to quilting, so I need this book for inspiration and technique. Thanks for the giveaway. This looks like a really fun book, I would love to check it out. ooh...I'd love to win this book! I like improve quilting but I only use it in small projects...I think I'm scared of messing up a big project and 'wasting' lots of fabric! This book looks great - thanks for the giveaway! What a happy quilting book! Thanks for the giveaway. Looks like a great book! I love the idea of improvising, but one of my favorite parts of quilt making is the planning ahead of time and drawing out designs, etc. I would love to break out of that pattern and try something new. I haven't improvised but I think this book could embolden me. I love to improvise, and I would love to be inspired by this book. thanks for sharing it. and good luck on your move to the windy city! Thanks for the offer, but I think I'll just buy one. I usually don't win anyway. What a fun book! I love the idea of improvisation but I find it very difficult to actually DO. I definitely need to work on letting go and having more spontaneous fun in my quilting. This book looks like a great inspiration! i love the cow too!! like you, i'm a self-taught quilter...tried to quilt without a book first... this past year has had a little more improv quilting than before and i'd like to expand on that. i have a few qwen marston books that i love, but this would be a great addition to my book collection to help me break out of the box more. What a fun looking book! I love hearing honest reviews of new books and tools! I think this might be right up my alley, as I improvise everything. LOL But would love to learn how to do it more efficiently!! :D Learning is GOOD!! :D Thanks for the chance Jacquie! Oh man, what luck! I have been drooling over that book since I first saw it last week. I NEED it. 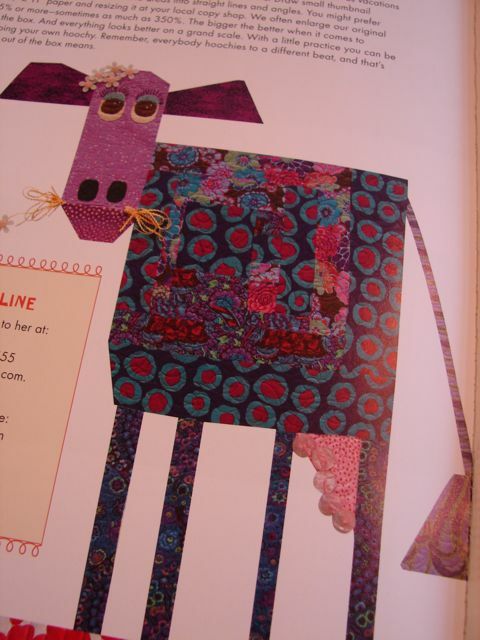 Every quilter needs one in fact, or maybe we all need a purple cow.....well, let's start with the book. Thanks for the chance! I'm only just getting into improv! I love Mary Lou's blog and her new book looks great! Improvisation scares me, but it's something I'd love to learn sometime. Thanks for the chance! I love to make quilts without a pattern. Improv allows me to use my creative side! 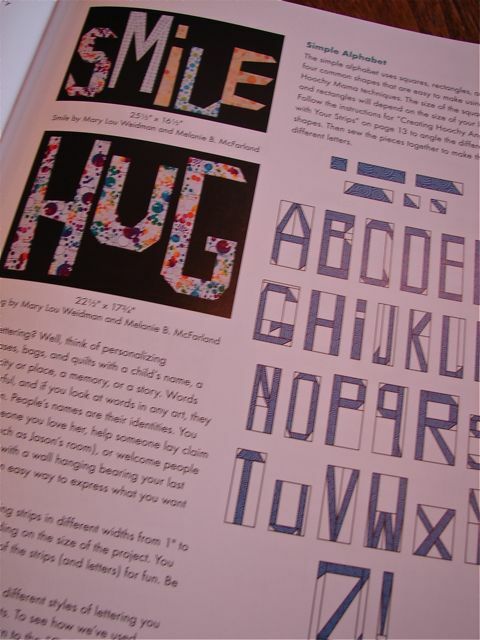 This book looks great, I haven't tried making letter blocks and that looks like fun. I have wanted to try improv quilting, but haven't been brave enough. It seems counter-intuitive to have a book on improv, but I think it's the ticket I need to give me the courage to try! thanks for the give away! I haven't done it but I just borrowed a book from the library and most of it deals with improvisation & releasing yourself from "perfectionism" of quilting. I'd love this book & thanks for the chance! Improvisation is my favorite way to work! Lots of freedom to create! i love leaving the idea of perfection at the door when i walk into my sewing room. points dont match? carry on! What a great looking book, Yes, I do improve!!! It is my favorite thing to do. Thanks for the opportunity to have this book. I am new to quilting so haven't done any improv yet, but would like to learn how. I do some improv quilting, but would like to do more. This book looks great! I enjoy improv piecing much more than traditional...it's fun to just create spontaneously, with the element of surprise! I have yet to follow a pattern exactly (I usually smoosh two quilts together), but I haven't ever improvised. I've been interested in it, though. I think it makes such lovely quilts. Even the word "improvisation" strikes terror in this long-time quilter's heart! I can't look at "the box," let alone step "outside the box!" I think I need such a book, don't I? Thank you for this nice giveaway, especially in the midst of sorting, preparing, and anticipating your life-changing move. I do some improvization but I'm not as daring as I would like to be. Thanks so much for a chance to win this great looking book. 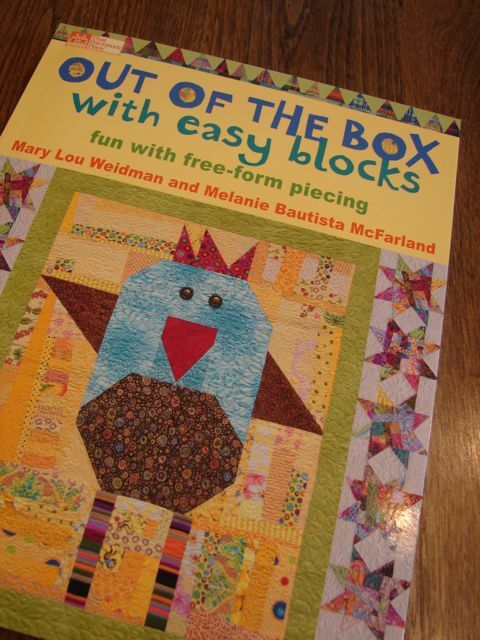 One of Mary Lou's books (Whimsies and Whynots, I think it was) was one of the first books that drew me to quilting. I would love to make a quilt that documents a trip my sister and I took right after I graduated college (yes, quite some time ago). I was helping her do field work and we went fossil hunting for three months. Lots of adventures and private jokes, would make a great Whimsie Quilt. One. Of. These. Days. my two daughters just got back from visiting two cousins who live in Chicago. that's were our oldest daughter plans to live once she gets back from her adventures in Germany this coming January. 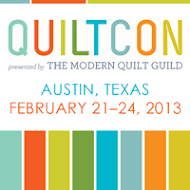 You'll love it, think of all of the wonderful quilt shops that are there. I do like to do improv quilting but don't do enough of it! I would love this book though!! I don't do improv but need to give it a try. This book looks wonderful and that cow brings a smile to my face-it just looks so cheeky! Love to improvise and am always eager to learn new techniques... the purple cow is fabulous! Thanks for a chance at the book. I LOVE improvisation. I just wish I wasn't so A-type so I could go there without all the effort it takes to 'let go'. I love the purple cow, too. Hilarious!! I love Mary Lou. She takes the fear and the rules out of quilting for me. Very inspiring. I would love this book! I love the look of improvised quilts! However I'm a bit of a planner and don't really make improvised blocks. Even when I made 16 little wonky log cabin blocks there was a bit of thought to it. This looks like another one of Mary Lou's fantastic books. They're just full of cheerful eye candy. Yum! I love the idea of improvisation... aka no wrong way!!! I would also love to make a cow... she would go nicely with our 'moo coo clock' that my daughter insisted has a place on our family room wall. I love the idea of improvisation but feel I still need direction! Does that make sense??!!! Looks like a great book! Great giveaway. I heard of the book ut hesitated until I read that you said you are learning things from it. I need that! I love it and have tried some a la Freddy Moran and Gwen Marston, also had a workshop with Jan Mullen from Australia a few years ago. Love the 'no rules' approach! such fun. would love to have this book--some other blog showed a photo of an owl--gotta do that for sure. I have a couple of Mary Lou's books and they are wonderful! She's something else!!! I have been trying to reduce my book stash -- which is almost as out of control as my fabric stash -- and have been swaying back and forth over whether I should buy this book or not. If it was given to me, it could definitely join my bookshelf. It's so cute. I love that bird, and the alphabet. I'm new to quilting so it feels like everything I do is improvisation! I love the couple of pictures you shared of the book ~ looks like a winner! I'm pretty new to quilting, so I would say things fall into two areas: completely improvisational, just sewing some pieces together and not yet knowing what I'll do with them; and completely by-the-book, which is how I'm teaching myself to get a good foundation. That book looks very fun- I like the bird on the cover! Yep, I improv. And when I make a mistake no one knows but me! And I have a short little memory so my improv quilts turn out just the way I want them to! I think I will make a purple cow just like the book says to...being a follower is still okay too. I lean toward improv but haven't done much of it by myself yet. It's like taking a leap off a cliff for me. However, I really like the images in the book and especially the large and small letters mixed together. Thanks for the review. I'll definitely look for the book. I do like that cow. The bird is pretty darn cute, too! Just a little ditty memory from my childhood. I'm unsure the author of the poem. I just know it always made me smile - just like this purple cow. I've loved MaryLou's quilts and humour for many years. I've got a perfect idea for a story quilt about my grandma and I've wanted to do letters and words for sure. Hope you pick my name. What a fun book! I'm getting more comfortable with improv-ing. Still a ways off. I would life to try improv! I am a very new quilter so this book would definitely point me in the right direction. Yay! I love Mary Lou's work! And I would love to have this book! Fantastic stuff! BTW, I love your blog! Love improv...just not very good at it!!! I enjoy looking at improvisational quilts - would love to learn more about them. Thanks for the giveaway. It does sound like a joyful book. Would love to learn some new techniques. I made a sewing machine cover using blocks from Liberated Quilting. It was fun but hard to let go of perfect points! Jacquie, you know that I love it all! For some reason, I am always scared to do something without a pattern, but whenever I do something like this for a bee, I just love it! It certainly gets me out of my comfort zone. Yes..I ilke improv quilts but others creations look so much cooler than mine!!!! Oh I aspire to be more free in my quilt making. I'd love a copy of their new book. Thanks for the post. I am an improv at heart, it runs thick through my veins. I rarely follow a pattern exactly, I always change it up, even if I am trying to follow it. I glance at it and make up the rest. I don't do much improve because I don't have great ideas but I would love to. I LOVE MaryLou and her attitude. Her story quilts are wonderful. I would so like to have a MaryLou book. I am still wanting to take one of her classes. I hear if you want to have GREAT FUN take one of her classes. I don't improv much. I think it's because I'm afraid to chop into my beautiful fabric without a plan. This book seems like a great guide to loosen me up, though. Thanks for the intro! I don't do improv, but this is so my mom's style. If I win I would give it to her. Being a fairly new quilter the most I have gotten inprovisional with is, throwing all the cut pieces in a bag and radomly pulling them out to quilt together. I am however starting a backing for a quilt I am going to totally improvise. Its hard to do though. I've been lusting after this book. I don't usually improv, but i've had a good time when I have. I've only got two quilts under my belt, the first one was pretty basic and I suppose you would call it improv. The second followed a pattern. I would really love to try more improv quilting but am a little intimidated. I haven't taken the leap into improv stuff. It's time!!! 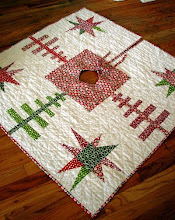 Love the improvisational quilting....have tried a few things. I will have to buy this book just for the alphabet options!! I love doing improv quilting, but i feel like I need to do more and explore more ideas. This book looks like a great jumping off point. Most of my work is improv. I followed a quilt pattern once and it just seemed so darned difficult to me. I still haven't finished that quilt (2 years ago). Patterns for bags and totes are a different story. Thanks for the giveaway, seems like a fun book! Anyhoo, thanks for the opportunity to win this book! I'll keep my fingers crossed for sure. I love improvisational piecing rather than trying to follow someone else's pattern. It seems much more creative and personal that way. 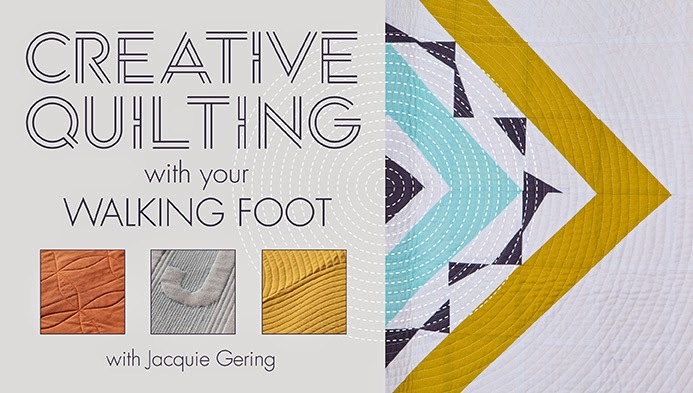 This book looks like it has some interesting ideas and tips for this type of quilting, and I'd love to add it to my library. Thanks for the chance! It scares me a bit but a class years ago on a Buggy Barn quilt helped me loosen up a bit! The most fun is when I free piece! And as I;ve mentioned before - your wonky log cabin is the first quilt I made, leading to my love of improv! This books sounds great. No rules, just ideas. Thanks for the chance. 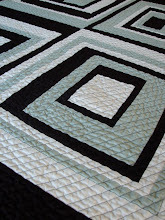 Haven't tried improv quilting, but I would like to! Maybe a blue giraffe to offer the cow some competition? I have tried improv just a little, this book would be great to really get me going. Thanks for the chance! I didn't even know you " could" improv until I saw your blog a few years ago. Seriously the thought just never crossed my mind. Now I love it. I made my dad a whole quilt without a pattern. Just winged the whole thing. It was liberating. So I owe you a thanks for showing me the world of improv!!! This does look like a great book. Sorry to hear about the porch. It amazes me how often doorknobs malfunction and leave people in a pinch. Good luck with the move, it is hard work so keep it up. Thanks for the giveaway. What a great book! I, too, am in love with the purple cow and I don't live anywhere near Kanasas. I both both structured (with a pattern) and improvisational quilting. I do both but I think I have the most fun when I am improvising. Sometimes it feels intimidating but the more I do it, the more comfortable I feel just letting my own creativity come out. Great story about the porch! I can relate. I have locked myself out of my house and car more times than I care to admit! I think I improvise too often....blame it on ADD. I just can't seem to follow directions. Thanks for a chance to win. I'm a mis-placed midwesterner...from MN and now living in Boston. Big difference! I'd love to try the patterns, particularly the cow as when I got here everyone assumed I'd been a farmer (I wasn't). Oh Please! Let me win the book. I have a farm and these ideas are so fun for me! I am still learning basics but these pictures make me want to experiment. Goats??? What a great book for inspiration! I could desperatly use some instruction:) Thanks for the chance. So far I've made 5 quilts, none using a pattern. I guess you could say that I'm an improv kinda girl. I'd love to have some guidance for the whole improv thing. I know that sounds wrong, but it's true! This looks like a unique quilting book that really appeals to me. and outside of the box designs. outside of the box work, is what I look for--not to copy their work. I love this book, and your site as well! I'm surely too late for the giveaway, but thought I would share that I'm a total improviser. 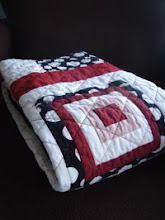 I've never taken a quilting class and figured out everything I know from books and guesswork. Even then, I just use the book or magazine as a place to learn technique and then I go off and design my own project. Glad to find I'm not alone. I have been a fan of your blog for a while but have never left a comment before. I am new to Melanie and Mary Lou's Purple Cow. Just discovered it Monday around 2in the morning! I love it. Love their style, love the idea of thinking out of the box. and I hope I win their book! Hope I am not too late! The book looks like it would have alot of fun projects! Gosh I hope I'm not to late either, I would love to make this purple cow! I LOVE him. But I love the letters in the book. My granddaughter and I have a saying that we have said to each other since she could talk, I would love to make a quilt with our saying and give it to her! I don't do improv quilting but I would love to. It seems so freeing. I haven't tried improv (I've barely tried anything... yet!) but I LOVE that cow (and purple). How utterly cute. I figure the comp is done and dusted but I just had to comment anyway. Love! Thanks for sharing. Oh, man, I would LOVE this book! I made my first improvisional baby quilt and loved doing it! I just love the idea of this book and can't wait to get a copy. I'm a long-time fan of Mary Lou's. I have started doing improvisational quilting this past year. I really like to just buy fabric I love and piece things together with whatever I have. No worries about buying the right yardage and cutting hundreds of pieces all the same size. Just go with whatever comes to you and love the creative process! I struggled with quilting until I figured out that I can do it without a pattern. I tried so hard to make the pretty quilts I saw in books and they never turned out. Then I figured out I could just buy fabrics I liked, a nice solid, cut a few strips, sew a little here, add a sashing, etc and before I knew it....a quilt! Love the cow - and your screened-in porch escapade! Glad you weren't hurt! I'd love a copy of the book! My e-mail is jdm@cableone.net. Thanks! I did try to do free form quilting - but I sort of copied it from an idea on the internet, so I don't think that really counts! Very kind of you to give away a free book. I started following your blog a few months ago - I love your big moose - I have a big cardboard dinosaur in the attic that my son and I made about 20 years ago! Thanks for the very informative book review and the nice selection of photos showing what the book has to offer. I used to be a strict pattern follower, but now do much more improvisation and make my own quilt designs (and try to remember to do the math correctly). Best wishes for your move! Happiness is being loved and accepted for being yourself. That's how I feel about improvising in creativity. More of us need to put our insecurities to the side and dare to color outside the box! When I push myself to do that - it's a thrill, trust me! I've been waiting to win the book so I can go fabric shopping. Its Westmoreland Fair time here, so I want to impress the Fair ladies!